For those diagnosed with hearing loss, it can be important to determine available treatment options immediately. Depending on the type of hearing damage that has occurred, one can opt for a variety of treatment options from hearing aids, to supplements, to stem cell treatments. While some of these treatment options are geared towards compensating for the hearing impairment, others aim to repair or restore the damage that has been done. It's important to determine the best route for each individual based on their personal situation. The state of the hair cells within the ear, and the cost of the treatment are just some of the factors to be considered when choosing the best form of treatment. Before determining the course of action one will take in attempting to treat existing hearing loss, it's important to examine the possible causes of the incurred damage. Hearing Loss can stem from a variety of internal and external factors, some of which develop over time, and some people develop at birth. With a firm grasp on the origin of the hearing damage, we can begin to understand the type of hearing loss and move towards improving the situation through treatment and therapy. Below are some of the factors that can lead to hearing damage and details about the form of hearing loss that each can cause. Ménière's disease is unique in that to this day, the cause of the disease is unknown. The effects of this disease target the inner ear and can begin to develop between ages 30 to 50. Possible side effects of Ménière's disease include vertigo (feeling dizzy), tinnitus (ringing in the ear), sensitivity to loud sounds, and sensorineural hearing loss. We'll delve deeper into sensorineural hearing loss later in this article. These symptomatic effects can occur occur separately or in conjunction with one other and can vary from mild to severe, depending on the case. In some individuals the hearing loss comes and goes, but for other it can deplete completely over time. It's important for those with Ménière's disease to see an audiologist on a regular basis to manage the effects of the disease. A disease involving the tiny bones within the middle ear, Otosclerosis affects the movement of these tiny bones, causing issues for the ability for sound to be passed through to the inner ear, and thus the ear drum. This is known as Conductive Hearing Loss, which we'll cover later, and is often treatable via surgical procedure. Prolonged exposure to loud noise over time, or sudden exposure to extremely loud sounds can wreak havoc on the sensitive organs within the ear. This type of hearing damage is known as Noise-Induced Hearing Loss and can be dangerous as it often develops over long periods of time without any pain to signal the deterioration underway. When one is exposed to a single loud noise, like an explosion, this is known as acoustic trauma. The results may be more noticeable early on, and one should seek medical attention immediately if they are concerned they have been put at risk for noise-induced hearing loss. Autoimmune inner ear disease (AIED) is a progressive form of hearing loss that comes on suddenly and should be treated by medical professionals as soon as symptoms occur. AIED is caused by antibodies attacking the immunity of the cells within the inner ear. Symptoms can resemble those of Ménière's disease as dizziness and tinnitus are common results of the disease. These dizzy spells, accompanied by high levels of antibodies within blood tests can signal the existence of the disease. AIED accounts for less than 1% of all hearing impairment cases, and this can be attributed to the complexity of causes associated with the disease. Food-related allergy 1 along with systemic lupus erythematosus (SLE), lupus erythematosus (SLE), ulcerative colitis, and rheumatoid arthritis can all be associated with AIED. Bechet's disease, another multi-system disease, is commonly known to have audiovestibular problems and can also be tied to AIED. In addition to the rare nature of the disease, another upside to be considered with regards to AIED is that with quick medical treatment, the hearing loss from this disease can often be reduced and improved. Tumors are sometimes the cause of inner ear damage as the tumor can obstruct or impede the tiny hair cells within the ear. Signs that there might be a tumor causing impairment can be a feeling of fullness within the ear, a blocked or dulled sense of hearing, or even dizziness. Surgical treatment is the necessary procedure to eliminate the tumor and restore what hearing is considered repairable. Presbycusis is often called age-related hearing loss as it occurs gradually, later in life 2 . The condition causes damage within both ears and hearing loss occurs in both over time. Inability to decipher high pitched sounds is one of the initial symptoms, resulting in difficulty understanding speech. It can be hard to communicate as people's voices begin to sound muffled and unclear. An example is the letter t can begin to sound like the letter f, making it hard to discern between different words. A traumatic injury to the head can result in brain injury, fractures of the skull, ruptured ear drums and damage tot he middle ear. In short, a blunt blow to the head can be a direct cause of hearing loss and should be medically treated. Osteopenia is a condition in which the mineral density of bones decreases; this can often be considered a precursor to osteoporosis and is not commonly known about. When Osteopenia affects the tiny bones within the ears, hearing loss can result. Often times this acquired form of hearing loss is attributed to age, when in fact the lack of certain nutrients is to blame. Increasing consumption of bone-strengthening vitamins like Vitamin D can help ward off such deterioration and prevent potential hearing loss from occurring. Now that we've covered the many causes of hearing impairment, it's good to note how these factors affect the ear immunity and then how one can move forward with restoring that immunity once the damage has already occurred. While there are 3 main types of hearing loss, Conductive, Sensorineural, and Mixed, there are some other forms of hearing loss that are a bit more specific including Sudden Sensorineural Hearing Loss, Noise-Induced Hearing Loss and Single Sided Deafness. Below is additional information about each of these. Conductive Hearing Loss occurs when any damage has been done to the nerves within the ear canal, the eardrum or the middle ear. This damage to the pathway in which sound must pass to be registered results in the inability of the sound to reach the inner ear to be processed by the brain. In addition to some of the causes listed above, there are many possible triggers for Conductive Hearing Loss which can include malformation of the ear, ear infection, perforated eardrum, a foreign body within the ear, buildup of fluid or earwax, or poor function of the Eustachian tube. Conductive Hearing loss is considered highly treatable and has a variety of treatment options ranging from surgical procedures to anti-fungal medications, to conventional hearing aids. Moving further within the organ, the second type of hearing loss is called Sensorineural Hearing Loss and it occurs when damage has been done to the hair cells within the inner ear. This form of damage is often caused by more extreme factors including noise-induced trauma, head trauma, and benign tumors to genetic predisposition and ototoxic drugs. Mixed Hearing Loss is a combination of both Conductive and Sensorineural Hearing Loss indicating that damage has been done to both the inner and outer ear. Causes can vary, but it's important to note that when attempting to treat Mixed Hearing Loss, medical professionals will first attend to the damage within the middle and outer ear (Conductive Hearing Damage) to ensure that sound can successfully pass through the eardrum. It would be moot to repair the inner ear if there was still significant damage to the outer ear preventing sound from reaching the newly repaired inner ear. Sudden Sensorineural Hearing Loss (SSHL) should be considered a medical emergency as it is treatable when diagnosed early. The sudden deafness may occur over a period of several days, but will be accompanied by a feeling of fullness in the ear. While often patients report these symptoms in conjunction with an upper respiratory infection, the referral to an audiologist may be overlooked as this can often be misdiagnosed as simply an inner ear infection. To accurately diagnose SSHL, one must undergo a hearing test administered by an audiologist. Noise-induced hearing loss is damage to the ear which can result over time from chronic exposure to loud noises, like power tools, loud music, or aircraft noise, or it can also stem from one instance of sudden loud sounds, like an explosion. When the tiny hair cells within the ear which process the sound information, are exposed to high decibels of sound, the damage caused prevents the information from reaching the inner ear or getting registered by the brain. Depending on the cause of one's hearing impairment, restoring the ear's ability to hear is not always a viable option. Hearing Aids and cochlear implants supplement as a close second to full repair of the damage. Cochlear implants, often referred to as 'bionic ears,' are electronic devices which are surgically implanted within the ear. They help to restore sound in individuals who are experiencing profound hearing loss or even total deafness. While the sound quality may not be as pure as natural audio reception, these advanced devices have proven effective for both adults and children experience severe hearing impairment. Placed under the skin behind the ears, the device features a microphone, a speech processor to filter external noise, and a transmitter that sends power via electromagnetic induction. The cochlear implants are secured into the bone and 22 electrodes are woven through cochlea working to send signals between the nerves and brain. To be considered a good candidate for cochlear implants, individuals should have competent speech, language, and communication skills. Patients receiving the implant have lived some of their life prior to experiencing severe sensorineural hearing loss in both ears. Those with only mild hearing loss should not yet seek a cochlear implant as they can see satisfactory results with other treatment methods (The Hearing Loss Pill or a hearing aid). For individuals who have grown up deaf, cochlear implants may be ineffective and irritating. Surgery for the cochlear implants requires a five-hour procedure and a two-day stint in the hospital, though it may take up to a month to heal. Once the patient has recovered from surgery the device can be activated. 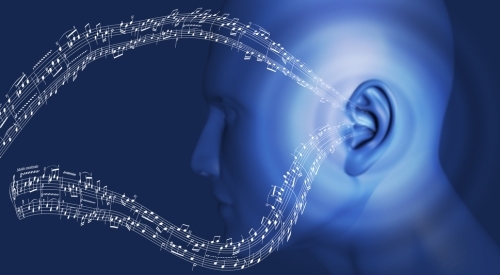 The patient should then undergo therapy as the brain to adjust to hearing new sounds. Though considered to be a highly effective form of treatment, costs can be considerably higher than other forms of treatment. There are five areas tied in with the bill of the surgery including an evaluation, the surgery, purchasing hardware, hospitalization, and subsequent rehabilitation. Total expenses can range between $50,000 and $125,000 US dollars; check with your insurance provider to determine what may be covered. Similar to cochlear implants, Hearing Aid devices are not used to restore damage done within the ear, and those reverse hearing loss. Instead they are used to ameliorate the effects caused by damage to the ear by amplifying sound into the ear. There are dozens of Hearing aid brands and models available to choose from, but there is a consistent consensus that these are most suitable for those experiencing mild forms of hearing impairment. For further information on available hearing aid options, view our extensive list of reviews. 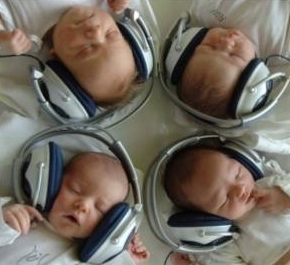 Stem Cells as a form of treatment for hearing impairment is a relatively new concept. While hearing aids and cochlear implants can serve as a good supplement to hearing function, the development of a biological method to repair the damaged cells within the cochlea has the potential to restore hearing without the use of prosthesis. By surgically placing stem cells within the cochlea in such a way that they fuse with the remaining cochlear structures and develop and function as hair cells, scientists aim to regrow and restore the natural hearing function. 3 Currently stem cell treatment is only available in the USA, Canada, and the UK as part of medical research, and patients seeking the stem cell procedure must travel to China, Mexico, the Middle East, or Thailand. Costs can range from $18,000 to $30,000 USD and must be paid by cash. While research into this method of treatment continues, there are no guarantees and thus far the results from procedures abroad are inconclusive. There is even a notion that viable treatment could become available sooner rather later as the FDA has announced it? first clinical trial to research the effects of stem cells to restore hearing, culminating in late 2013. The Hearing Loss Pill is a completely unique treatment which treats the symptoms of hearing loss by attending to the actual root causes of hearing impairment. The Hearing Loss Pill helps your nerves work harder, work better and helps to provide more clarity. Unlike Hearing Aids, which simply amplify sound into the ear, The Hearing Loss Pill works to improve the still-functioning nerves of the inner ear to better transfer the ?sound information? to the brain, and to help the brain to better interpret this information. In addition to optimizing the undamaged nerves, the Hearing Loss Pill also works to protect the nerves from damaging molecules called free radicals. These free radicals are released into the blood stream when the ear is exposed to loud sound and by scavenging these molecules, The Hearing Loss Pill protects the hair cells from further damage. Beneficial nutrients and compounds necessary for hearing function are another integral component found in the Hearing Loss Pill. To understand the science even further, visit our full list of FAQ.